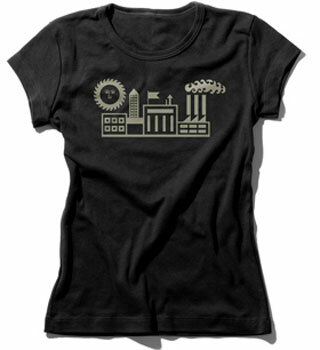 Design-savvy parents might appreciate the hipness of this Girls Girard Factory Tee by House Industries. This is House Industries’ logo reworked in a style inspired by US midcentury designer Alexander Girard’s work. Of course, that’s only going to be known by a select few. But you can just sit back knowing your child is top of the heap when it comes to design cool. The shirt is available in selected sizes (see site), made of 100 per cent cotton and with smooth discharge printing for the design. $26 gets you one.